Wednesday, May 1, 2019 / 7:00 p.m.
Tuesday, April 23, 2019 / 5:30 p.m. This is a free community screening event. Tuesday, March 19, 2019 / 6:00 p.m. This is a free campus screening event. Saturday, March 16, 2019 / 2:00 p.m.
$15 adults; $13 seniors; $8 students. Early bird tickets: $10 (through 2/28/19). Thursday, March 14, 2019 / 7:30 p.m.
Monday, March 4, 2019 / 7:00 p.m.
Friday, March 1, 2019 / 5:30 p.m.
Sunday, February 24, 2019 / 1:30 p.m.
Sunday, February 17, 2019 / 10:00 a.m.
Friday, February 8, 2019 / 6:00 p.m.
Thursday, November 1, 2018 / 6:00 p.m.
Sunday, October 28, 2018 / 12:00 p.m.
Wednesday, October 17, 2018 / 7:00 p.m.
Friday, October 19, 2018 / 4:00 p.m.
KVIE, public television for Northern California and the Central Valley. Based in Sacramento, KVIE serves a 28-county market area. 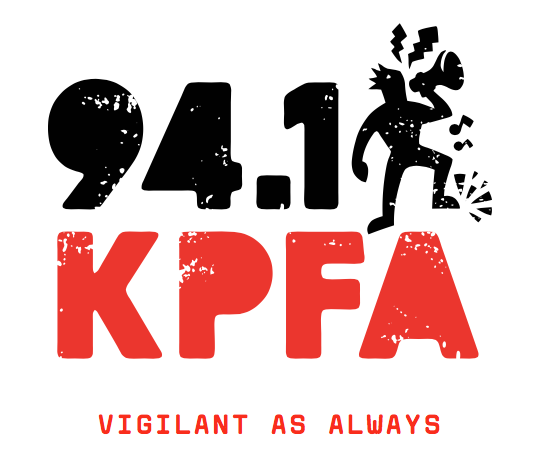 The hour-long broadcast version of THE ITO SISTERS is available for viewing on the KVIE website. Thursday, October 11, 2018 / 4:30 p.m.
Wednesday, July 25, 2018 / 7:30 p.m.
Sunday, July 22, 2018 / 5:00 p.m.
Saturday, June 16, 2018 / 2:00 p.m. This event is free for museum members and included with general admission for non-members ($12 for adults, $6 for students and seniors). Reservations are strongly encouraged. Saturday, May 19, 2018 / 3:00 p.m.
Tuesday, May 15, 2018 / 7:00 p.m.
Saturday, May 12, 2018 / 2:00 p.m.
April 11, 2018 / 4:00 p.m.
Saturday, March 17, 2018 / 1:00 p.m. This is a free community screening event. For more information, please contact Aeko Yoshikawa at aeko@sbcglobal.net. March 15, 2018 / 7:00 p.m. 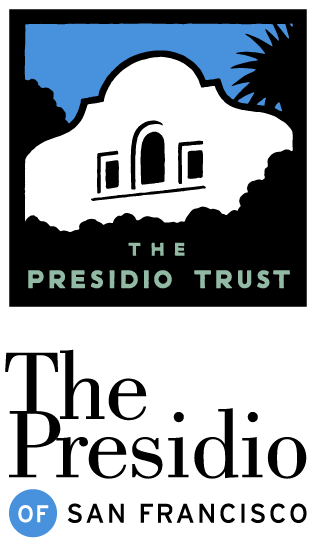 This is a free screening event, in association with the exhibition, "EXCLUSION: The Presidio's Role in World War II Japanese American Incarceration". Saturday, March 10, 2018 / 1:00 p.m.
$8 for adults, $5 for students and seniors, and free for JAMsj members. Reservations are required. To reserve tickets, please contact publicprograms@jamsj.org or (408) 294-3138. Wednesday, February 28, 2018 / 11:00 a.m.
February 15, 2018 / 5:00 p.m. This is a free campus event. Wednesday, February 7, 2018 / 12:00 p.m.
Sunday, December 3, 2017 / 2:00 p.m.
Sunday, December 3, 2017 / 4:00 p.m.
Sunday, November 5, 2017 / 4:00 p.m. THE ITO SISTERS had its public premiere as part of the art exhibition, "Shifting Movements: Art Inspired by the Life & Activism of Yuri Kochiyama (1921-2014)," presented by the Asian American Women Artists Association (AAWAA) and the Asian Pacific Islander Cultural Center (APICC), as part of the 20th annual United States of Asian America Festival, May 4-25, 2017. The film was screened in its entirety in a daily loop throughout the exhibition. "Filmmaker Documents Family Experiences of Japanese American Internment"
"‘Ito Sisters’ gives voice to pre-WWII Japanese American experience"
"Stockton Art Scene: Touching Events Marked by Remembrance, Activism"
"‘The Ito Sisters’: Family’s 1940s internment, placidly recalled but casting a dark shadow"
"Film Ito Sisters Chronicles Family's StruggleS and Heart"
"‘The Ito Sisters’ offers impactful story of empowerment in light of oppression"
"Day of RemeMbrance Features Showing of 'The Ito Sisters'"
With a background in theatre and arts administration, Glenn is making her first foray into filmmaking with the award-winning new documentary, The Ito Sisters: An American Story, which has been an Official Selection of the Berkeley Video & Film Festival (Grand Festival Award and Audience Award), the Sacramento Japanese Film Festival (Emerging Filmmaker Award), the Women’s Film Festival San Diego, the Boston Asian American Film Festival (Audience Choice Award for Feature Documentary) and the Asian Pop-Up Cinema Festival in Chicago. The film had its broadcast premiere on KVIE, the Sacramento PBS station, in October 2018 and is being distributed to public television stations around the country for possible broadcast in May 2019. Glenn has worked with such organizations as Idyllwild Arts Foundation, the KCETLink Media Group, Cornerstone Theater Company, Watts Village Theater Company, San Diego Repertory Theatre and Troy Rep Theatre Company, which she co-founded. She holds a BA from Wellesley College, an MFA in Acting from USC and a PhD in Theatre & Drama from the University of California, San Diego. One of the country’s leading sociologists, Glenn has produced groundbreaking scholarship on the intersectionality of race, gender, citizenship and labor. She is a Professor of the Graduate School and the Founding Director of the Center for Race & Gender at the University of California, Berkeley. In 2009-10, she served as President of the American Sociological Association. Her books include Forced to Care: Coercion and Caregiving in America; Unequal Freedom: How Race and Gender Shaped American Citizenship and Labor; and Issei, Nisei, Warbride: Three Generations of Japanese American Women in Domestic Service. Honors include an Asian American Local Heroes Award from KQED and Union Bank, and the Nikkei of the Biennium Award for Contributions to Education from the Japanese American Citizens League. Glenn holds a BA from UC Berkeley and a PhD from Harvard University. A director, writer and producer, Pacificar has worked on over 12 films and documentaries addressing issues and communities often ignored by the mainstream. In 2006, he directed and edited the documentary film, Mangosteen: HIV/AIDS in Malaysia, which was voted “Best in Festival” at the Los Angeles Asian Pacific Film Festival. Previous work includes a PSA addressing domestic violence in the South Asian community and The Unheard Musician (documentary feature). Pacificar’s most recent credit is directing Chaka Khan’s music video, “Love Yourself”, set to release in 2018. He is a graduate of Loyola Marymount University in Film, Television and Asian American Studies. An accomplished composer, arranger and keyboardist, Iwataki has collaborated with artists such as Peabo Bryson, the Pointer Sisters, Tom Scott, Marilyn McCoo & Billy Davis, Olivia Newton-John, Paul Anka and the Fifth Dimension. He was a founding member of the jazz fusion band Hiroshima, which was known for fusing Japanese and other World Music into its playing. Iwataki composed the scores for the documentary films Harsh Canvas: The Art & Life of Henry Sugimoto; Toyo Miyatake: Infinite Shades of Grey; and Words, Weavings and Songs, all produced by the Japanese American National Museum. His albums include Barbed Wire and Hip Hop, a collaborative project combining original hip hop, rap and jazz music with spoken word. An experienced graphic artist whose work focuses on combining advocacy and social work with art and design, Padua created the marketing and educational materials for the Asian Pacific Islander AIDS Intervention Team (APAIT) Health Center. In 2009, Padua was recognized as a “Community Hero” by the City of West Hollywood and was featured in Frontier magazine for his advocacy work fighting AIDS in the Asian Pacific Islander community. In 2010, his artistic work on canvas was featured at the Festival of Philippine Arts & Culture in San Pedro, CA. Padua is a graduate of Brooks College Institute of Design and Technology with a degree in Computer Animation. Kenneth Navarro has worked for over eight years as a compositor, animator and editor for Dance Heads Recordings. Navarro is a graduate of Brooks College with an associate’s degree in animation, and The Art Institute of California with a bachelor’s degree in game art and design. He is originally from Puerto Rico and resides in California. In 1988, after many years as a performing musician, arranger and producer, Gainen opened his recording studio, Maurice Gainen Productions, in Silver Lake, just east of Hollywood. Since then, he has produced, recorded, mixed and mastered too many CDs to count, in all genres, including jazz, alternative, rap, R&B, rock, Broadway and World Music. He has also played flute and/or sax on many of these CDs. Gainen does CD mastering and restoration for all of the major record labels, including more than 185 CDs for Starbucks. Music, songs and scores recorded in his studio have appeared in many movies and TV shows. Gainen has worked with THE ITO SISTERS composer Dave Iwataki on many projects. He also has eight “Global Jazzatronica” CDs out as a recording artist, and has done two versions of Iwataki’s classic “Kokoro”. A Professor of Anthropology and American Studies & Ethnicity at the University of Southern California, Kondo’s books include Worldmaking: Race, Performance and the Work of Creativity; (Re)Visions of Race: Performance, Ethnography, Politics; About Face: Performing Race in Fashion and Theater; and Crafting Selves: Power, Gender and Discourses of Identity in a Japanese Workplace. In addition to her scholarship and teaching, Kondo has extensive professional theatre experience as a playwright and dramaturg, and has worked on several projects with renowned writer/performer Anna Deveare Smith, including the world premiere of Twilight: Los Angeles at the Mark Taper Forum. She holds a BA in Anthropology from Stanford University and an MA and PhD in Anthropology from Harvard University. An Associate Professor in Asian American Studies at the University of California, Berkeley, Omi’s most influential work is Racial Formation in the United States: From the 1960s to the 1990s, co-authored with Howard Winant. Omi and Winant’s groundbreaking Racial Formation Theory looks at race as a socially constructed identity, determined by social, economic and political forces. Their other works include “Once More, With Feeling: Reflections on Racial Formation” in PMLA (Publications of the Modern Language Association of America) and “Asian Americans: The Unbearable Whiteness of Being?” in The Chronicle of Higher Education. Omi holds a BA in Sociology from UC Berkeley and an MA and PhD in Sociology from UC Santa Cruz. Until his recent retirement, Takahashi served as the Director of Multicultural Student Development and a Lecturer in Asian American Studies at the University of California, Berkeley. He also served as the Academic Coordinator of Asian Pacific American Student Development at UCB. His book, Nisei/Sansei: Shifting Japanese American Identities and Politics, provides a complex and nuanced account of Japanese American life. 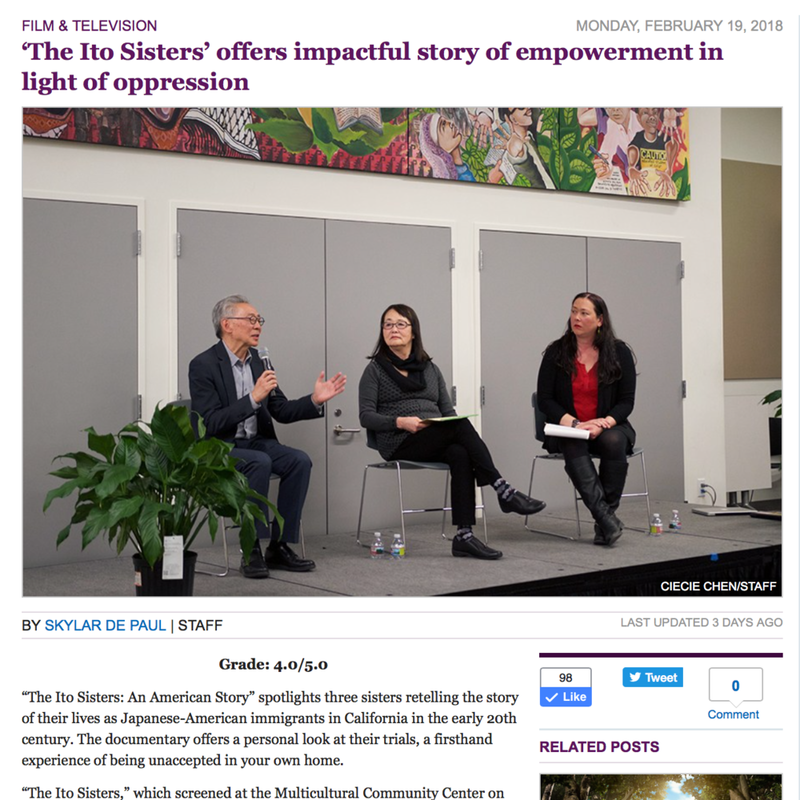 Recently, Takahashi served as a panelist for “Planning for War, Planning for Internment: The Japanese American Experience at the Presidio of San Francisco,” a day-long public program hosted by the National Japanese American Historical Society. Takahashi holds a PhD in Sociology from UC Berkeley. Other members of the creative team include Sound Re-Recording Mixer Leslie Chew and Colorist Jesse Eisenhardt. Voiceover actors featured in The Ito Sisters include Scott Dawson, Patrick Alexander Glenn, David Johann Kim, Grace Kim, Tim Kniffin, Kerr Lordygan, Vance Reyes and Joel Rieck. THE ITO SISTERS is made possible by funding from the California Civil Liberties Public Education Program, a project of the California State Library.